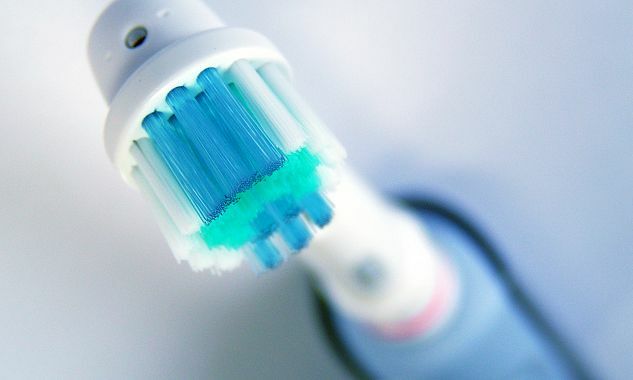 Electric Toothbrush Makes Movement of the Bristles Either by Oscillating Back and Forth, While Ultrasonic Toothbrush Uses Ultrasound For the Intended Work. Technically, the phrase Electric Toothbrush covers the Ultrasonic Toothbrush entity too. But, as both Electric Toothbrush and Ultrasonic Toothbrush are consumer grade products, they are different entity and the products are named accordingly indicating the technology working behind. Electric toothbrush is a toothbrush that makes rapid automatic movements of the bristles by oscillating back and forth or alternate clockwise and counterclockwise rotation to clean the teeth. In the case of Ultrasonic Toothbrush, the ultrasound are emitted by a piezoelectric crystal. Possibly the first successful electric toothbrush was manufactured in 1954 by Dr. Philippe-Guy Woog. There is not much details needed to be furnished for this type of Toothbrush as they are basically electrically driven mechanical instrument. Features depends on the end cost of the product. Ordinary electrical brushes teeth vibrate at a rate between a few thousands of times per minute to about 10,000 to 12,000 times per minute. Sonic toothbrush is the common name of the Ultrasonic Toothbrush group. They are called ultrasonic, so called because the speed, i.e. the frequency of vibration, as opposed to the common electrical brushes operates at a frequency of 1.6MHz, ie 96,000,000 192,000,000 pulses or movements per minute. Ultrasound in the range of 1.0 to 3.0 MHz is widely used in therapeutic medical devices used for bone healing, laceration, gingival bleeding, to remove plaque and more. Consumer grade models has many features including polishing the teeth to massage of the gum. We can not opine about the effectiveness of these devices as these are medical / dental products and in-person dentist’s opinion for a particular patient would be the best; but from the reviews and personal usage, it appears that the sonic toothbrushes can effectively make the tooth white by removal the layers which are difficult to remove by simple brushing. The brush heads are usually separately sold as replacement parts while the handle is the main electronic device. This Article Has Been Shared 3401 Times! Cite this article as: Abhishek Ghosh, "Electric Toothbrush and Ultrasonic Toothbrush," in The Customize Windows, March 30, 2015, April 23, 2019, https://thecustomizewindows.com/2015/03/electric-toothbrush-and-ultrasonic-toothbrush/.